A solenoid, or electromagnetic coil, is used to trigger the valve flow with electronic pulses, moving the magnetized coil at appropriate times. In direct-acting solenoid valves, a plunger is in direct contact with the in-flow opening in the valve body, or orifice. This plunger opens and closes the orifice through the movement of the solenoid, permitting or hindering flow. These valves may be constructed from plastic or metal and may be powered using a variety of different methods, including something as simple as a 12 volt battery. Many industries rely on proportional solenoid valves to accurately regulate fluid, gas, and air flow to and from components in a wide range of applications. The automotive, automation and aerospace industries use proportional valves frequently to regulate fluid flow in engines and hydraulically-powered equipment. Metalworking, material handling, food processing, woodworking, construction and marine industries use proportional solenoid valves to regulate power, compressed air, and water flow. 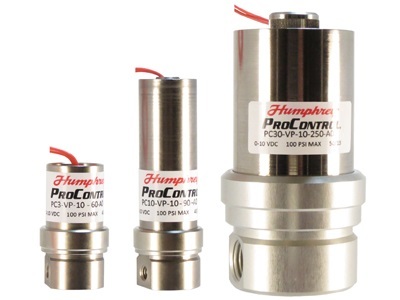 The precision of proportional solenoid valves and their capacity for remote activation and hysteresis make them an invaluable component for countless industrial applications where extremely accurate fluid or gas flow regulation is necessary. Pilot-operated solenoid valves work with a diaphragm rather than a plunger, using differential pressure to control the flow of fluids. In pilot-operated valves, there is a solenoid-operated vent which is opened to allow the pressure to equalize, permitting fluids or gases to flow through. 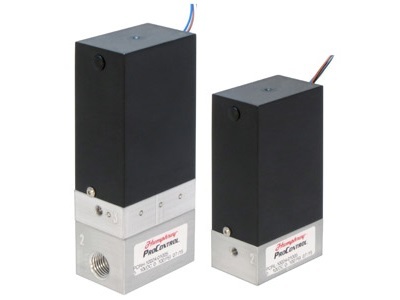 Both direct-acting and pilot-operated proportional solenoid valves regulate flow based on linearity, frequency response, and hysteresis. One important feature of proportional solenoid valves is their ability to increase or decrease output pressure through one or multiple output lines. Using the laws of fluid pressure, proportional valves can distribute input forces in such a way as to increase or decrease output pressure. Other types of proportional valves have multiple output lines which can be opened, closed and flowed at various pressures. Computers are often used to monitor proportional solenoid valves in applications which require precision accuracy. Proportional Solenoid Valves A proportional solenoid valve regulates the flow of air and gas using diaphragms and gas pressure by utilizing the same elements as a regular hydraulic or pneumatic solenoid valve but with more advanced flow control capabilities.